Eclipsing the traditional sports memoir, House of Nails is a tale of Shakespearian proportions--a relentlessly entertaining ride that careens from the heights to the abyss. 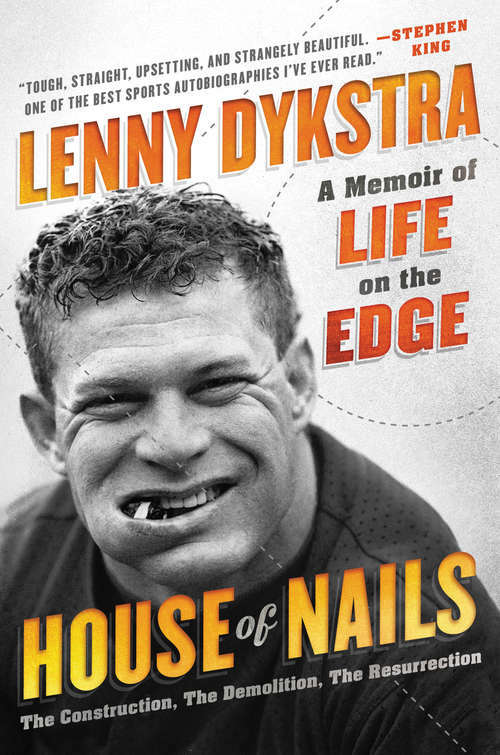 Lenny Dykstra, nicknamed "Nails" for his hustle and grit, approached the game of baseball--and life--with mythic intensity. During his decade in the majors as a legendary member of the 1980s Mets and 1990s Phillies, he was named to three All-Star teams and played in two of the most memorable World Series of the modern era. Then came a second act no novelist could plausibly conjure: After retiring, Dykstra became "baseball's most improbable post-career success story" (The New Yorker). But when the real estate bubble burst in 2008, Lenny lost everything. Then the feds moved in: convicted of bankruptcy fraud (unjustly, he contends), Lenny served two and a half harrowing years in prison. Now, for the first time, Dykstra tells all about his tumultuous career on and off the field. House of Nails asks no apologies and leaves nothing left unsaid.